Two one-act operas arrive at Margaret Island Open-Air Stage starring the Argentine tenor who is one of the most distinguished performers of our time! In the summer of 2019, after New York’s Metropolitan Opera and the Opera de Monte Carlo, Marcelo Álvarez will dazzle spectators on Margaret Island in the roles of Turiddu and Canio. Besides this international star, famous Hungarian artists will appear in main roles such as Ildikó Komlósi as Santuzza and the excellent soprano Polina Pasztircsák, in addition to the winner of 2018’s 3rd Annual Éva Márton International Singing Competition, Mongolian baritone Badral Chuluunbaatar. We can thank Edoardo Sonzogno, a contemporary Milanese publisher who used his paper to advertise a yearly one-act opera contest, for these twin works, the two most popular pieces in the Italian one-act opera repertoire. With the agreement of librettists, Pietro Mascagni reworked the original two-act version of Cavalleria Rusticana – by including the eventually famous “Intermezzo” – to satisfy the contest’s requirements. In that same year, the jury did not consider Ruggero Leoncavallo’s opera Pagliacci, since it was two acts and thus disqualified. In 1890, Cavalleria Rusticana won the Sonzogno Company’s competition. However, Leoncavallo’s work caught the attention of the publisher. Two years later, on 21 May 1892, it was shown in Milan’s Teatro Dal Verme venue after a performance of Cavalleria Rusticana. Nowadays, opera houses traditionally stage these works together on account of their short duration and similar styles. What connects these two pieces is the naturalistic style of depiction, where the conflicts of flesh-and-blood characters are portrayed as everyday stories. Today we could even call them opera thrillers. 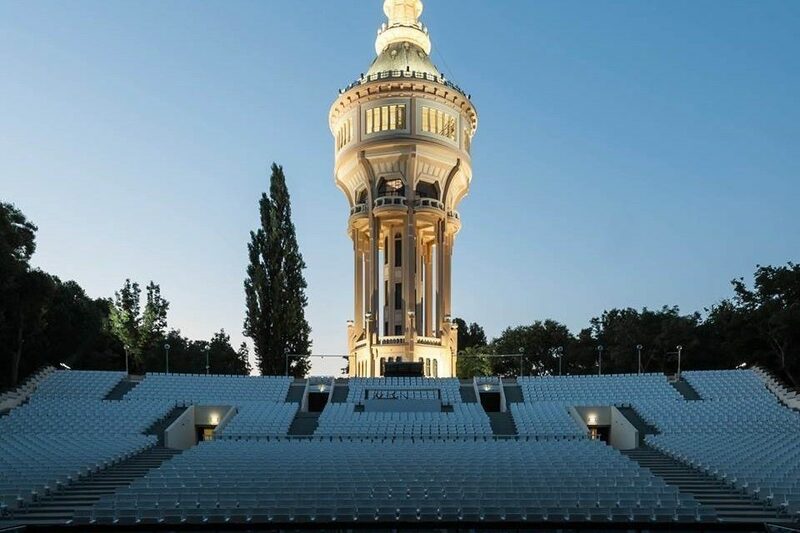 Now the Budapest audience may view them at Margaret Island Open-Air Stage directed by Georges Delnon and featuring the Hungarian State Opera House’s orchestra and chorus. 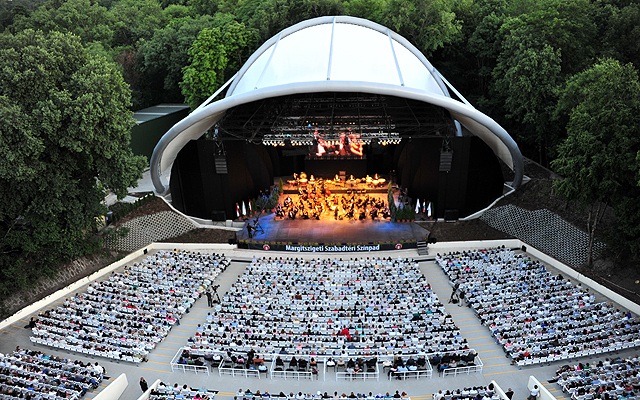 A joint production of the Hungarian State Opera House and Open-Air Theatre.